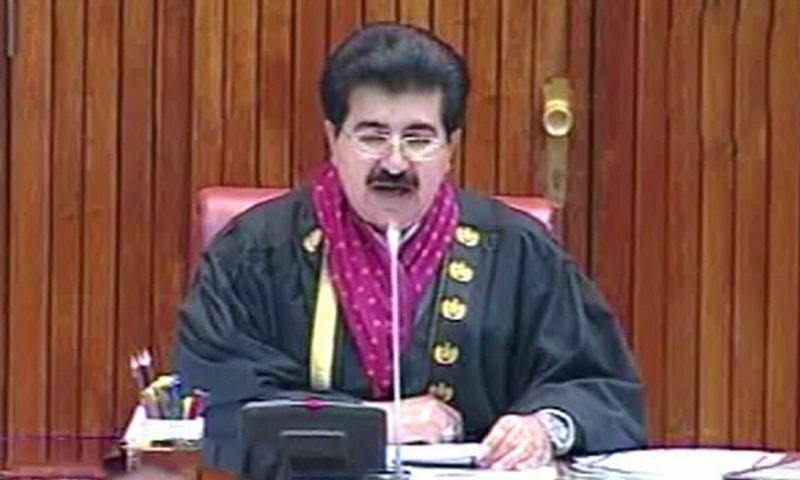 ISLAMABAD: Senate Chairman Sadiq Sanjrani on Friday asked Prime Minister Imran Khan to submit an explanation over the continued absence of ministers from the Upper House of the Parliament. It was reported that the chairman expressed annoyance over the absence of State Minister for Parliamentary Affairs Ali Muhammad Khan from the Senate. In addition to that, the opposition had also staged a walkout over the minister’s absence for the second consecutive day. While expressing his anger on the affair, the Senate chairman maintained that “the ministers should reach Senate on time in order for the sessions to begin on appropriate scheduled time”. Moreover, former premier Raja Pervez Ashraf termed the absence of ministers from Senate sessions as “a matter of suspicion”. “In this way, it will become difficult to run the upper house. Parliamentary etiquettes are being broken each day. Complying to basic principles of Senate is everyone’s obligation,” he said. Earlier, PM Imran had promised to be the first prime minister to attend the House regularly and answer opposition’s questions. So far, the current assembly has had 34 sittings, out of which the premier has attended six, including the one held for his election as premier. The opposition has staged several walkouts from the NA since the new government came into power, leaving Speaker Asad Qaiser struggling with the formation of house committees. In the meantime, the opposition is flexing its muscles to give the ruling coalition a tough time on a number of issues, including the ongoing energy crisis, ‘one-sided’ accountability, the mini-budget and the recent increase in the prices of medicines. The delay in the formation of over three dozen committees has badly affected the legislative work of parliament, and the Lower House is functioning with only two committees, including the Public Accounts Committee (PAC), that was formed last month after a deadlock between the government and opposition over naming Shehbaz Sharif as the committee’s chairman was broken. Two days after the presentation of an economic reforms package by Finance Minister Asad Umar, senators took part in a debate to discuss the salient features related to taxation. “Relief has only been extended to the corporate sector and businesses,” he said, adding that “the government is not fulfilling its promises made in its manifesto”. Furthermore, Senator Mian Raza Rabbani termed the budget as “class oriented, benefitting the business class of the country”. “There is no relief for the common man, middle and salaried class,” Rabbani said, adding that “the government has increased gas and power tariffs as well as imposed new taxes on the dictation of International Monetary Fund”. He continued to add that the budget carries no measures to address the issue of circular debt and revive the state-owned enterprises. He further stated that the country will not become economically stable if it does not break the debt trap, adding that “concrete steps need to be taken to uplift the agriculture and industrial sectors in order to ensure sustainable development”. He also demanded the reduction of prices of the petroleum products as well as pharmaceuticals. He said to regularise remittances Hundi and Hawala must be discouraged. The session was adjourned till Monday.